Dickinson Wright is a reputed law office in Michigan, U.S. It was established in 1878 with the mission of providing unparalleled legal representation to the community. There are about 300 experienced attorneys in this office that offer services in 40 practices in 10 offices. It holds various accolades telling the tale of its success and eminence.  It was recognized as the 165th largest in the United States by number of lawyers in 2011. Also, it was the second-largest Detroit based firm in the list of the 250 largest law offices in the country by the NLJ. Continuously expanding its horizons, Dickinson Wright is full-service law firm. It is known for its wide experienced, diversity and creative approach. Also, the office is renowned for its dedicated legal professionals that are well respected by their peers. It is also recognized through noteworthy appointments to bar associations as well as the judiciary system. The office puts its clients first and this is the major reason for its success. It never hesitates to go extra mile for its clients and makes sure that they are not only satisfied but delighted. Extending unmatched client service and the highest quality legal advice, Dickinson Wright believes in being proactive and accessible. Solutions by this law office are clear and concise. People get best outcome by putting their interest in this office. Be it a large or small concern, this firm always involves its clients so that it can provide with them results that are in the best of their internet. The firm also offers technological sophistication that helps it to deliver superior client service and results. Fortune 500 companies, governmental entities, nonprofits and individuals all in this region prefer to get services from Dickinson Wright so that their objectives can be realized in the best possible manner.